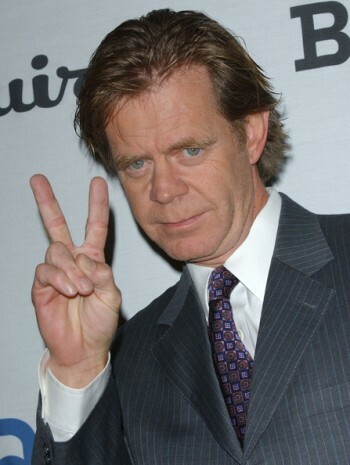 William Hall Macy, Jr. (born March 13, 1950) is an American actor, screenwriter, teacher and director in theater, film and television. He's perhaps best known for his Academy Award-nominated role in the Coen Brothers masterpiece Fargo, although prior to that his career was strong and built on both small independant films and action movie blockbusters. With his Ned Flanders appearance and unassuming voice, Macy is often cast as middle-class ineffectual types although he has played a variety of different roles. He describes himself, accurately, as "sort of a Middle American, WASPy, Lutheran kind of guy... Everyman". Macy has won two Emmy Awards and a Screen Actors Guild Award, and has been nominated for nine Emmy Awards and seven Screen Actors Guild Awards in total. He is also a three-time Golden Globe Award nominee. Since 2011 he has played the main antagonist in the Showtime television series Shameless. Macy and actress Felicity Huffman have been married since 1997. 1985 The Last Dragon as J.J. The Chew Toy: In several films, it's a particular joy to watch his character be sad and pathetic, which they often are, like in Fargo and Boogie Nights. The Everyman: Often plays such roles, finding the darkness within the unassuming, put-upon Working Joes, notable examples would be roles like in Fargo and Pleasantville, which play on that. Happily Married: To Felicity Huffman since 1997.